We can now confirm the date for Disability Pride Brighton 2019. It will be Sunday 14th July, and will be aligned with other global Disability Pride events. We will be announcing further details shortly. Hello and welcome to our Disability Pride Brighton website. Thank you to all of those who came along to help celebrate our festival on Saturday, 14th July 2018 at Hove Lawns. We had an incredible day and we hope that you did, as well! Please note that Disability Pride Brighton is NOT a specific event/organisation only for the disabled LGBTQ+ community, but for ANYONE with ANY impairment plus their family, friends and carers. We called it Disability Pride so that it is in line with other international Disability Pride organisations. 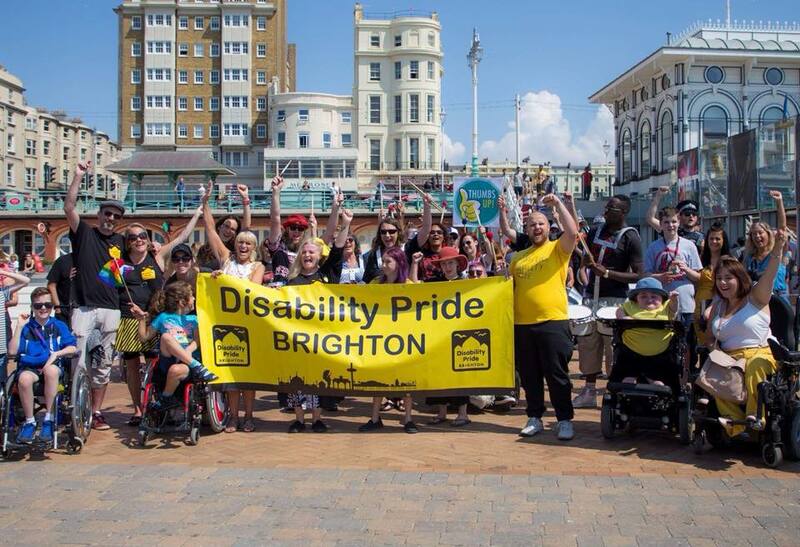 Please like and follow our Disability Pride Brighton Facebook page and, if you would like to become a volunteer, ask to join the volunteer group.